There are more than 400,000 collegiate athletes in the United States and the NCAA’s motto is that most of them will go pro in something other than sports. But, the transition away from such a big part of their lives isn’t easy. One moment they are playing the sport they love nearly every day, and the next that sport gone, leaving a massive gap to fill. That experience of the world opening up is different for everyone who goes through it. Michigan State University field hockey alumnus Shelby Supica said the hardest part was dealing with all of the newfound free time. 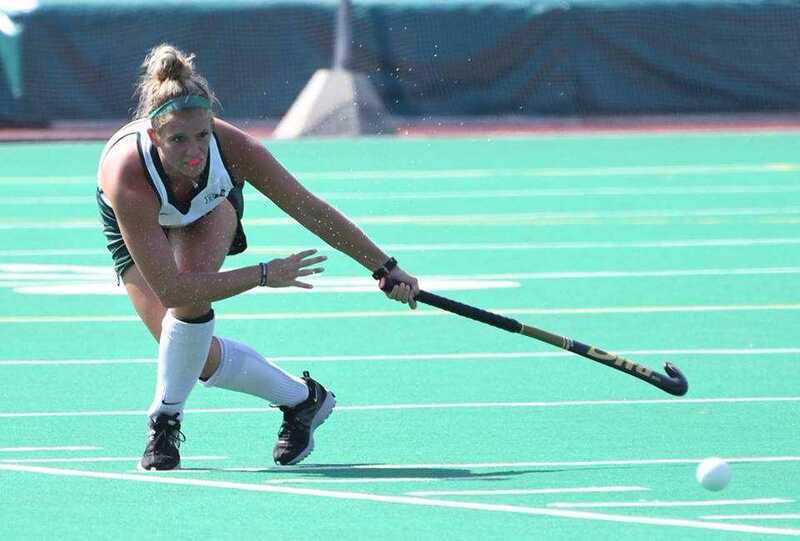 Shelby Supica makes a pass during her senior season with Michigan State field hockey. For Supica’s collegiate teammate Kristin Matula, it was the void of not competing. Regardless of individual challenges, the expectation in the real world is that student-athletes can simply move on. They are starting out their careers and need to hit the ground running to impress employers. Yet some sports don’t end until after graduation. Student-athletes participating in fall semester sports have the spring semester to prepare. Meanwhile, spring sport athletes have the added pressure of making the difficult transition the day after their athletic career is over. When field hockey ended in the fall, Supica took advantage of her free months in the spring. DJ Lubs, middle, coaches his players at practice at Michigan State University. DJ Lubs couldn’t have agreed more. Lubs, Supica, and Matula have all gotten into coaching since graduating. 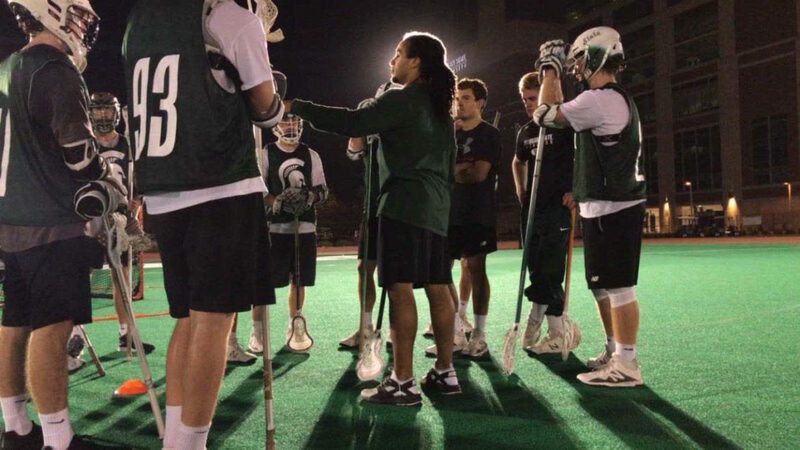 Lubs is now the defensive coordinator for the Michigan State University men’s lacrosse team. Supica and Matula are assistant field hockey coaches for Pioneer High School and the University of Massachusetts Amherst, respectively. They all say it helped a lot with moving away from playing, and allowed them put the energy they used as athletes toward a productive outlet: teaching young players. Kristin Matula takes a shot while playing with Michigan State University at the Big Ten Tournament. Looking at the field from a different view has especially given Matula a new perspective on her days at MSU. Jess is a high-energy sports journalist with experience going all the way back to his 8th grade years. He has worked with Foxboro Cable Access, Lax Sports Network, Fox Sports, and Big Ten Network. Student-athletes spend a great amount of time balancing school and sports. At the professional level, athletes’ lives are consumed by the sport they play for a living. The Spartan Newsroom examines how athletes get themselves to the next level - either in their sport or to the next phase of their lives. This challenging transition leaves obstacles and gaps to overcome.